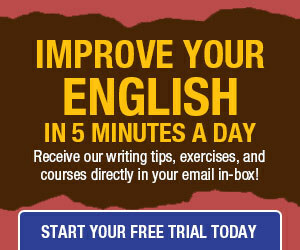 A gerund is an -ing verb form that is used as a noun. This post is about the use of my in the fourth example. That’s the reasoning and the rule. If you don’t mind him calling you at work, give him your business card. If you don’t mind them losing your possessions, then this is the hotel for you. You should take out the garbage without me asking. 1. Women having the vote share political power with men. 2. Women’s having the vote reduces men’s political power. 3. Women having the vote reduces men’s political power. Modern grammarians still prefer preceding the gerund with a possessive in formal usage, but do not uniformly condemn the fused participle as Fowler did. 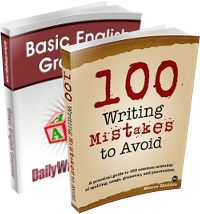 There are exceptions–sentences in which idiom simply demands that a participle be fused, or else the sentence rewritten altogether.–Lawprose.org/. The likelihood of that happening is nil. He frequently felt a chance of this happening. He disapproved of politicians still in their prime writing memoirs. The likelihood of that’s happening is nil. He frequently felt a chance of this’s happening. He disapproved of politicians still in their prime’s writing memoirs. Very interesting! Thank you Maeve. Women’s having of the vote reduces men’s political power? Shouldn’t that last example read, “He disapproved of politicians’ still in their prime writing memoirs.” ? They are of the same construction. No apostrophes in either.